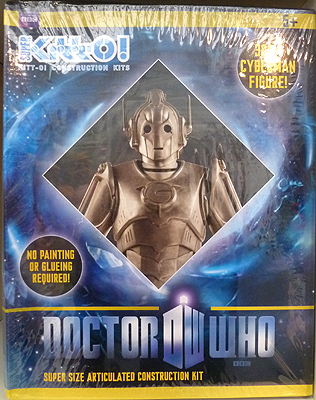 Kitto Doctor Who figures shipped January 2013 and are available at retail Q1 2013. Kitt-O! 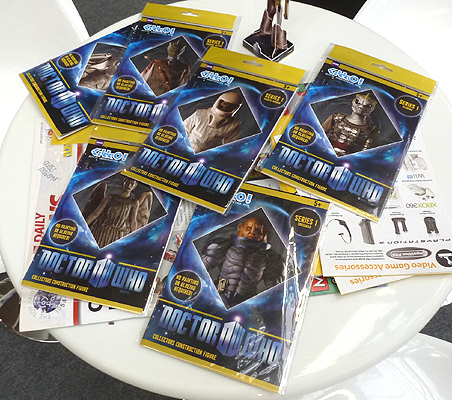 launched a new range of 12cm Doctor Who Construction Figures at Toy Fair 2012 with six figures to collect. Wave 1 Kitt-O! 12 cm figures are available at retail from December 2012. Series 1 Kitto Doctor Who figures will launch in time for Xmas 2012. The first wave of Kitt-O! 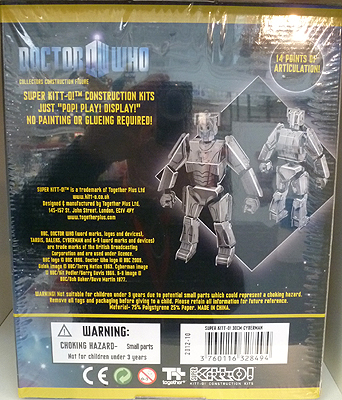 Doctor Who Monsters Mini Kits features Silurian Warrior, Silurian General Restac, Vashta Nerada, Sontaran, Weeping Angel & Cyberman. In 2013 the range will expand with new 'artist edition' mini kits. Constructed from do-it-yourself pop-out kits, requiring no painting or glueing, Dr Who Kitt-O! figures stand 12cm tall. 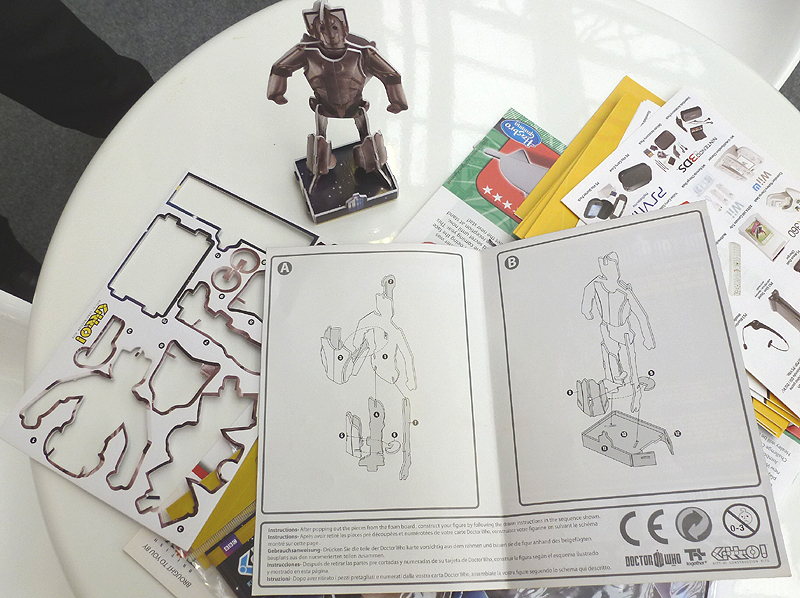 Kitto Doctor Who figures are designed and created in the UK by Together Plus Ltd. The product, as first shown, was in the very early prototype stages and, by February 2012, was still in the process of gaining full approval from the BBC. In October 2012 Together Plus announced their new Super Kitt-O! 30cm line of figures. 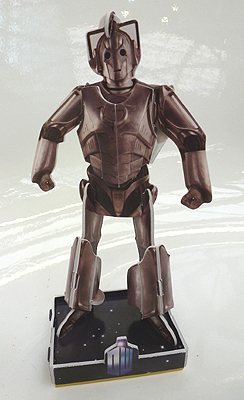 A fully articulated Cyberman was the first Super Kitt-O figure to be announced. 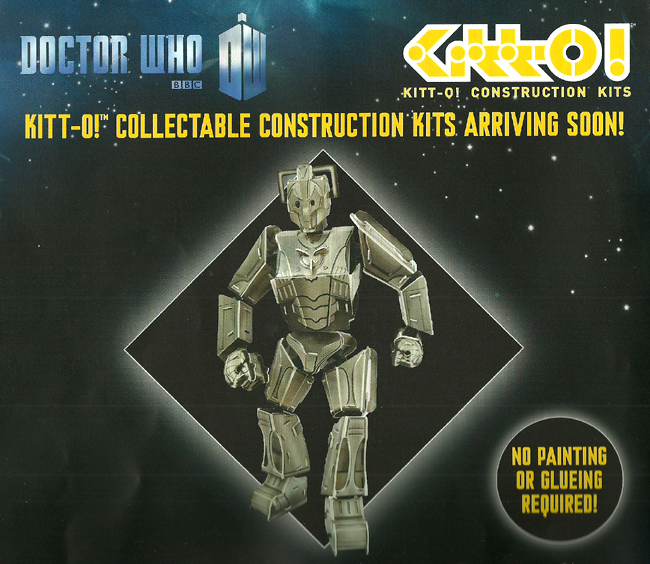 Super Kitt-O Doctor Who combines the fun of a constructable kit with the collectability of an action figure. Kitt-O! is a brand of UK company Together Plus Ltd. Together Plus are also releasing licensed Star Wars Construction Figures under the Kitt-O! brand.